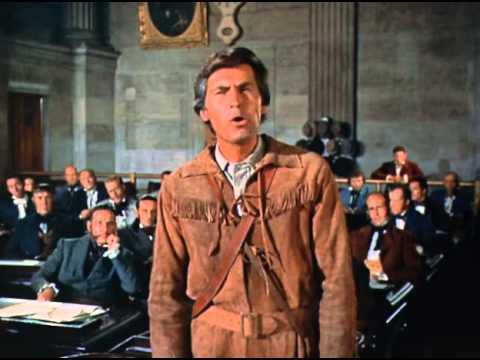 News of The Cut, Volume 1: Let's Do The Selkirk Hurdle, Ya'all! 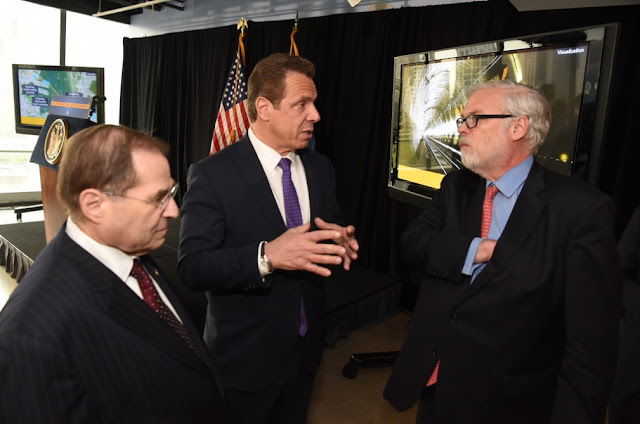 On May 5, 2017 Governor Cuomo, Port Authority CEO Patrick Foye and Congressman Jerold Nadler announced a final study would be conducted of a proposed high-speed freight train service through the Cut. 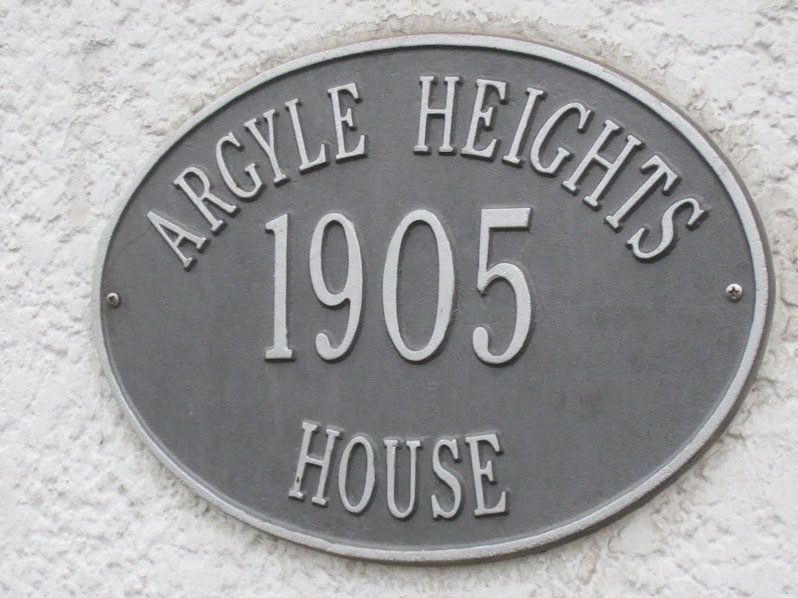 It's been a while since I wrote about the Long Island Rail Road (LIRR) trench that forms the southern border of Argyle Heights (also known by its BOR-ING name of West Midwood). 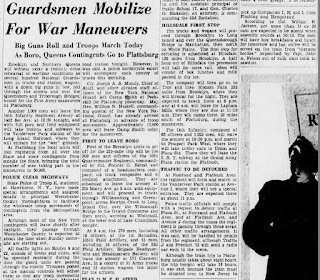 Of course, the same trench also forms an imposing boundary for Fiske Terrace, Parkville, Brooklyn College and so many other neighborhoods as the Cut traverses its 14-mile swath from the rail barge float at the foot of 65th Street in Bay Ridge to the Fresh Pond yards in Maspeth. 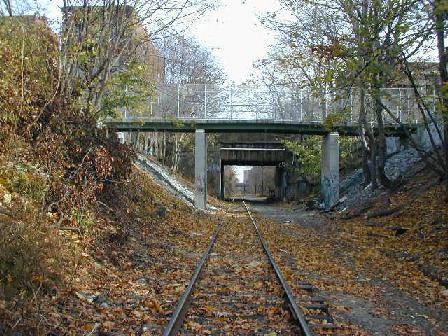 In the Fresh Pond Junction, it links with other rail lines to find its way over the Hell Gate bridge to the mainland. 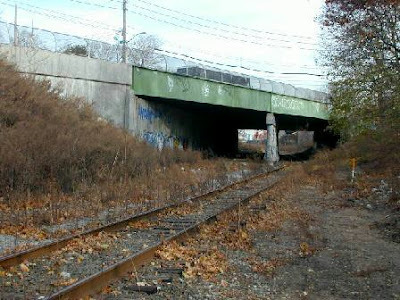 Although it should be noted that after crossing into the Bronx, there is no rail bridge over the Hudson River for another 140 miles. And that's in Selkirk, a suburb of Albany. Yikes! 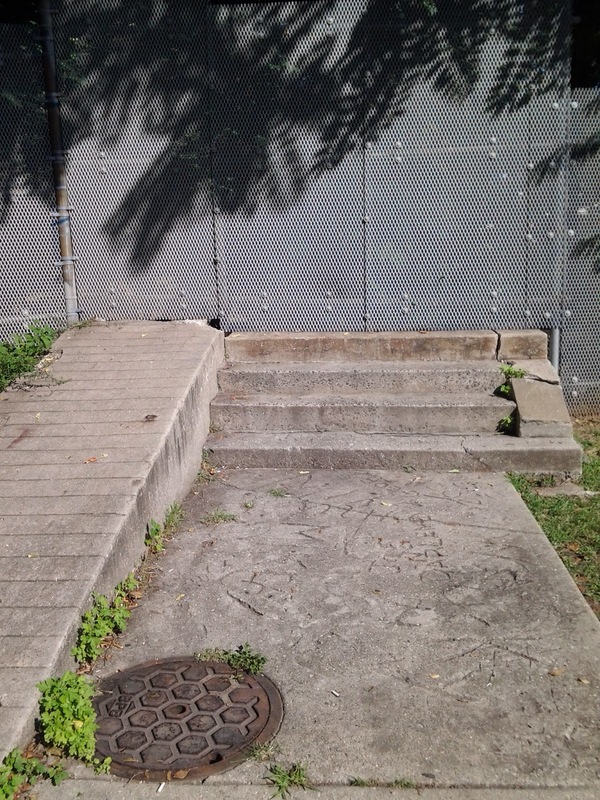 This detour is known in the train biz as "the Selkirk Hurdle." It also sounds like a great name for a new dance. 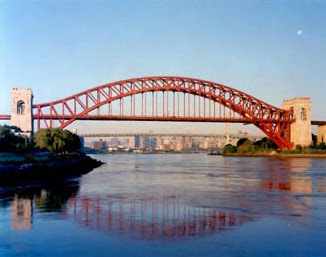 Hell Gate Bridge (aka New York Connecting Railroad Bridge) - Called East River Arch Bridge When Dedicated In 1917. Its Major Use Is Amtrak Passenger Service BUT It Remains The Only Freight Rail Link to Long Island Aside from Bay Ridge Barge Float to Jersey City. 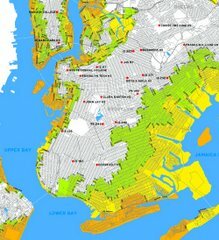 Officially, this new Port Authority study is supposed to make a final choice between two alternatives: greatly expand the current barge terminus in Bay Ridge; or, build a four-mile tunnel that would emerge across the Hudson River in Jersey City, thereby eliminating the Selkirk Hurdle. 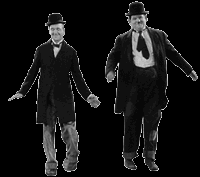 But given that the press conference speakers mentioned the tunnel 23 times and the barge twice (both times spitting out the words "19th century" as adjectives for the rail float barge), let's face it: the decision has already been made. This study will simply determine the cost of the tunnel "and improvements" to the Cut, as well as the negative impacts of a high-speed rail on residents, and how to possibly mitigate them. 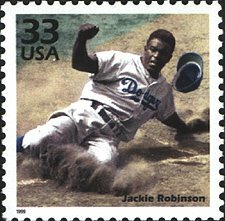 The new study of the Cut will be completed in 12 to 18 months at which time an official estimate will be released, replacing a 2015 ballpark estimate of $10 billion. But the Cross-Harbor Tunnel would be almost three times as long as the new Hudson River tunnel, and would travel a path where no sand hogs have yet to venture. 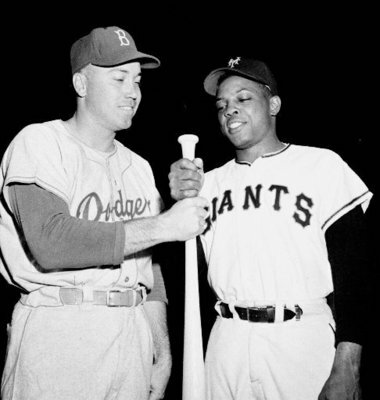 So 2040 seems like a reasonable year for the ribbon-cutting. And I'm guessing $30 billion for the Cross-Harbor construction and let's throw in the rail-bed improvements for another billion. 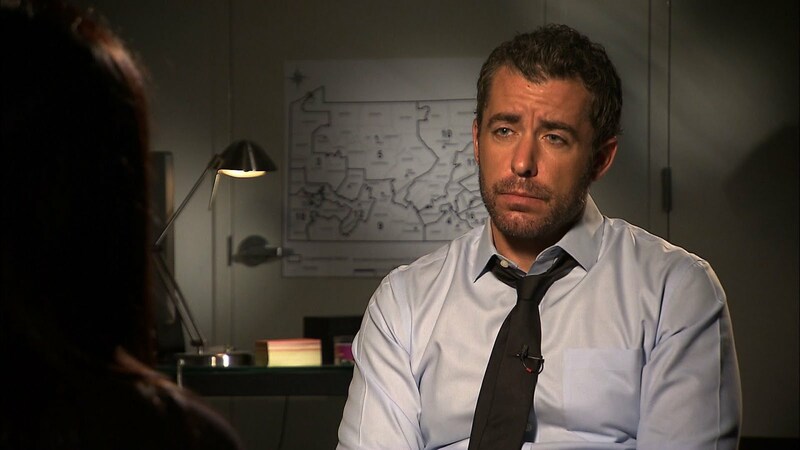 Tip: Add $10 billion to the total projected cost when it is announced to allow for delays, overruns and possible interference from river monsters. 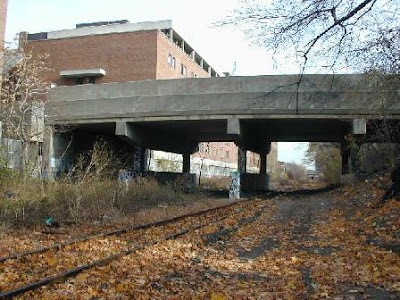 The reasoning under-girding this project, which has a history as old as the Port Authority itself, is that creating a speedy cross-harbor freight line will offload so much tonnage normally consigned to trucks, we will all see a very noticeable reduction of traffic and pollution along the BQE, Caton Avenue, and elsewhere. 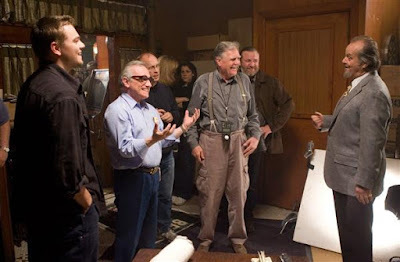 To which I say, like my niece Mary Kate in Missouri: "Show me!" 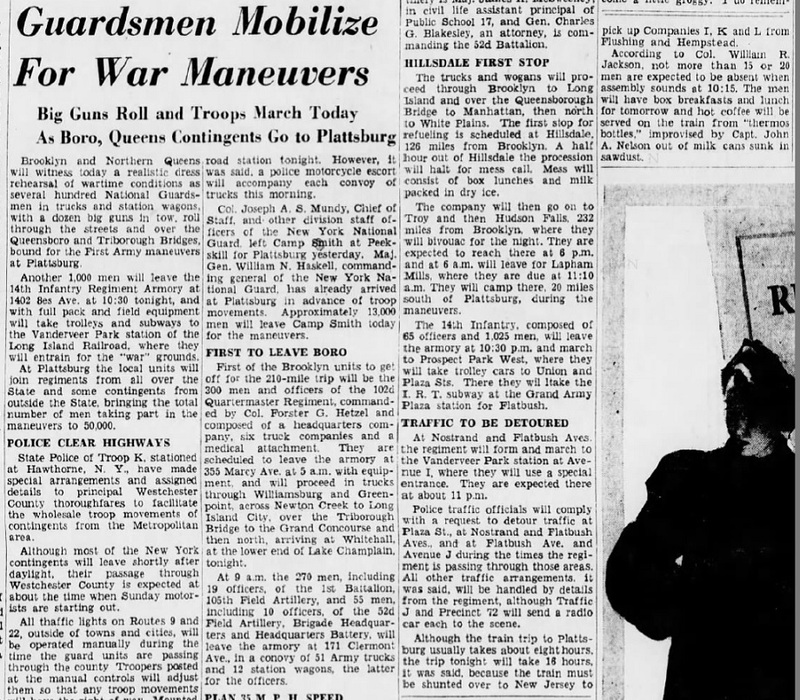 More on that in Part Two or Three. 15 of NYA's 59 Employees Posing in 2016. Back to Work! 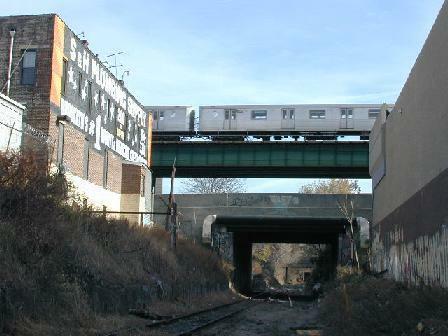 Presently, the Cut is leased by the NEW YORK & ATLANTIC RAILWAY, a private company formed in 1997 to offload the LIRR's freight operations, from Bay Ridge and Hell Gate all the way out to Montauk. 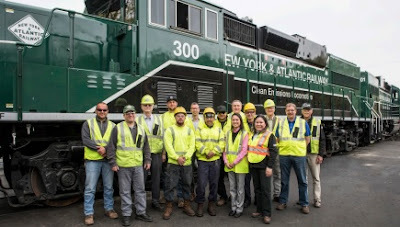 NYA, as it is known in the industry, has 59 employees (that's not a typo - only 59) and its activity in Brooklyn is minimal: it runs an average of one carload of freight each day on the Bay Ridge branch. Put another way, that's 3,000 railcars a year, compared to 600,000 annual railcars back in the heyday of the line in the 1920s before trucks started to rule the roost. 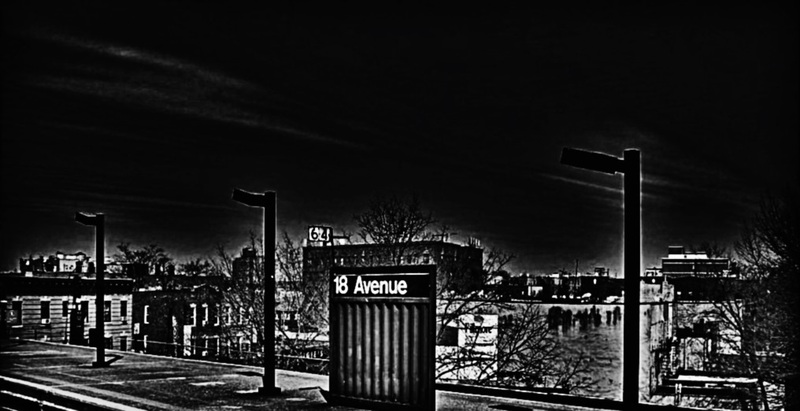 NYA in fact serves a total of only 61 customers along its 269 route miles (about 20 of those customers are in Brooklyn and Queens; only three are within five miles of Argyle Heights). 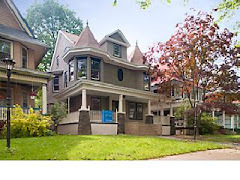 Over the 20 years of its existence, NYA has added an average of 1.5 new customers a year. So it would appear freight haulers are not clamoring to use this option. 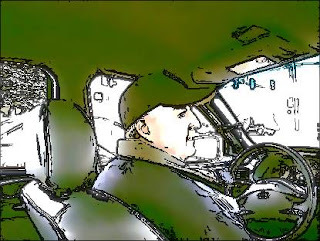 Still, NYA estimates its system-wide freight hauling removes 100,000 trucks from area roads annually. 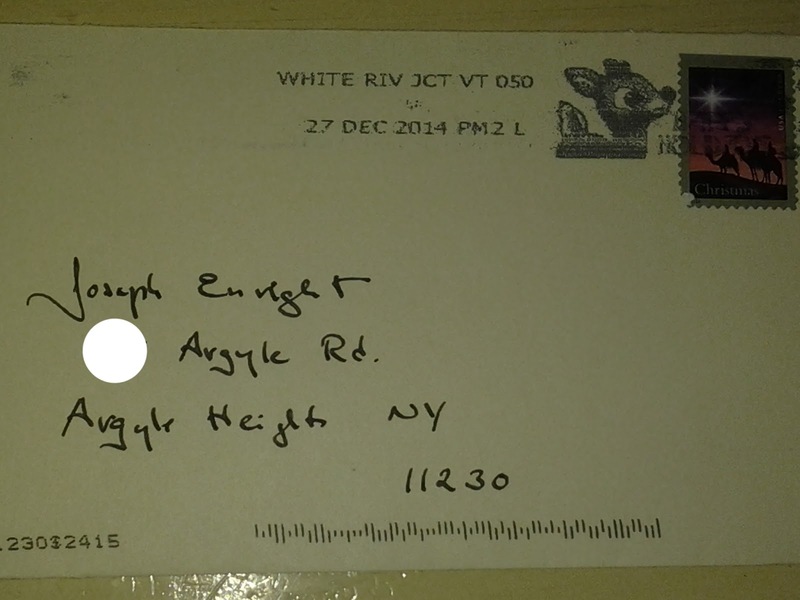 But how many more truckers will line up once this becomes a high-speed direct conduit to New Jersey? 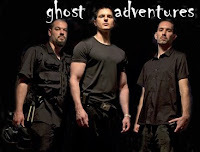 Stay tuned for Part 2 (or 3...or 4). So Many Miles of Track, So Few Customers! Of one thing I am absolutely certain, however: this line is incredibly safe at present because NYA allows its engineers to travel no faster than 10 MPH within New York City limits. 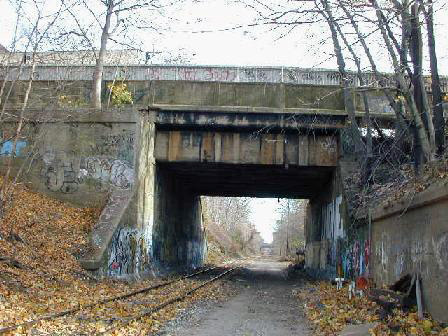 UPDATE APRIL 28, 2018: "The National Council for Occupational Safety and Health included the New York and Atlantic Railroad in its “Dirty Dozen” list of companies that put workers and communities at risk" per Newsday story. 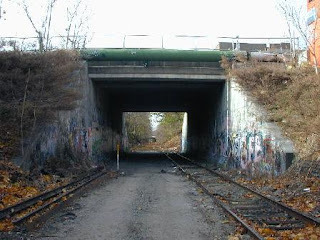 In our neck of the woods the right of way is only 50 feet wide and is occupied by a single track bed at the bottom of a fifteen foot embankment. 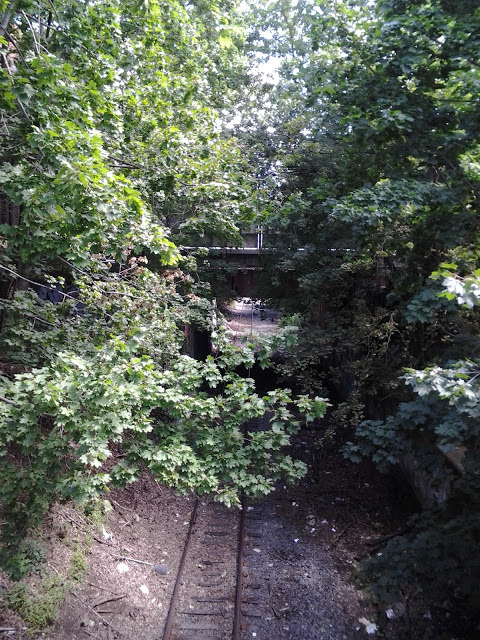 The Cut is crossed by a pedestrian bridge at East 15th Street (the only remaining foot bridge for its entire length -- the footbridge at East 18th was removed circa 1970). There are also street crossings at Coney Island Avenue and East 14th Street (Rugby Road), as well as the Q/B Brighton line, which crosses over the trench just south of Avenue H.
The Cut Looking East To Bedford Ave and Brooklyn College. 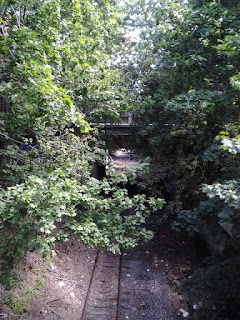 The trench historically supported two to four tracks but only one is used today. 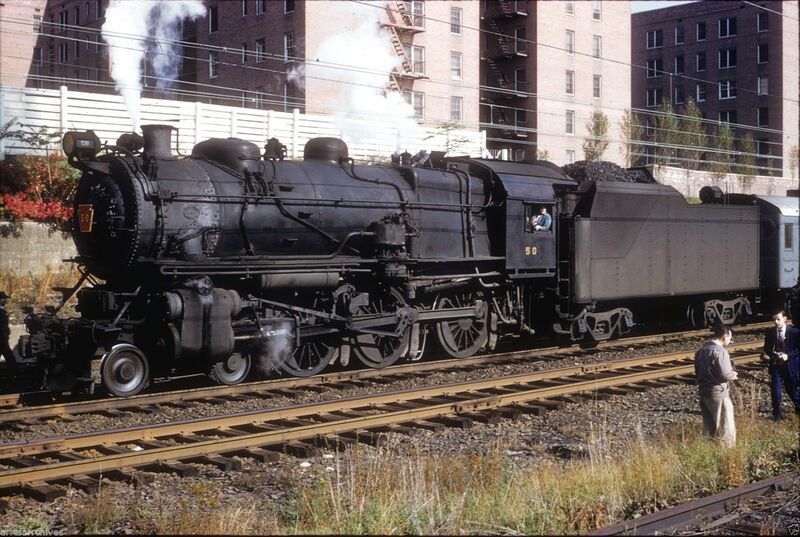 The rest of the year it moved freight, which became its major revenue source after the Pennsylvania Railroad took over the LIRR in 1900. In 1924, the spur that branched southward near Avenue H and paralleled the Brighton line, all the way to the Manhattan Beach Hotel, ceased passenger service and the entire line became freight only. 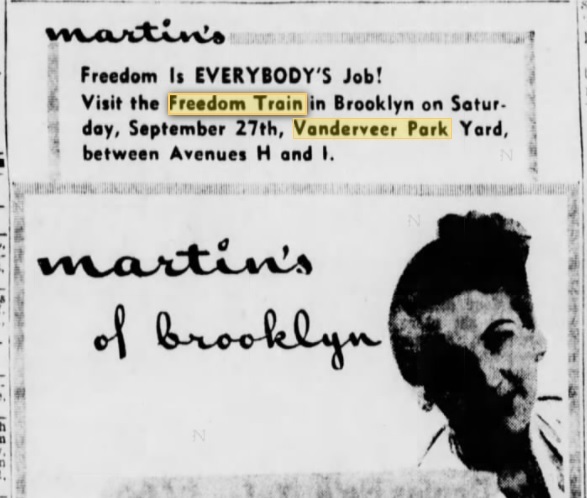 The Manhattan Beach branch eventually ceased operation as a freight service during the Depression and was torn down in 1939. 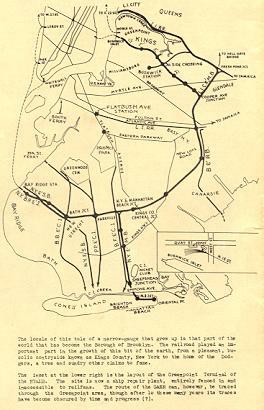 1926 LIRR Freight Map. 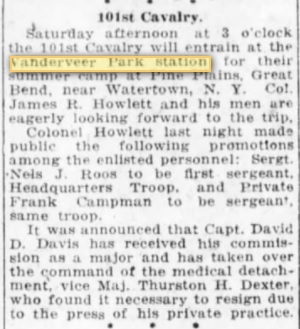 Loadings Occurred at Avenue I & Flatbush ("Vanderveer Park") and Avenue O & East 16th ("Midwood") Although Vanderveer Park Station Was Still Used for Special Passenger Loading of Troops. 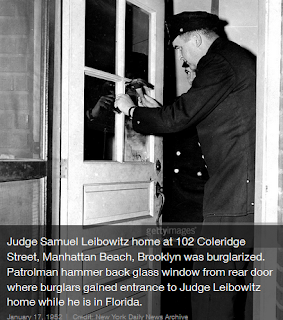 January 1939 Brooklyn Eagle. 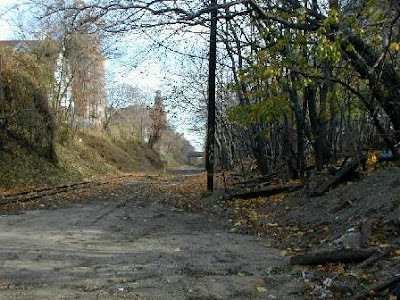 Looking North Along Brighton Line On Eve of Demolition of the Manhattan Beach LIRR Track Which Had Been Used To Haul Freight Only After 1924 Passenger Service Ended. 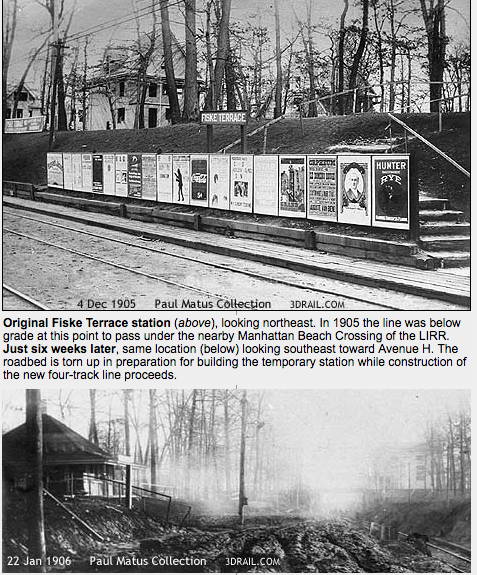 Inset Photo (Bottom) Shows Converted MB Station. 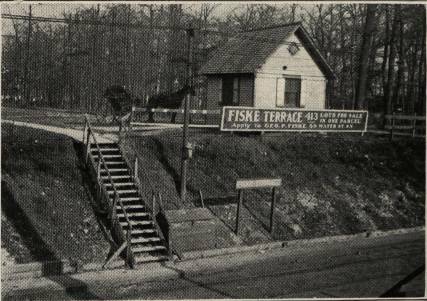 Meanwhile the main spur that traveled from 65th Street to Fresh Pond remained intact and has continued to be operational to this day. 140 years is a very long time for any railbed to survive. In fact, the Long Island Rail Road was first chartered in 1834 to run a rail line from Greenport in Suffolk County "to a point on the water's edge in the village of Brooklyn," making it the oldest railroad in the United States still operating under its original name. 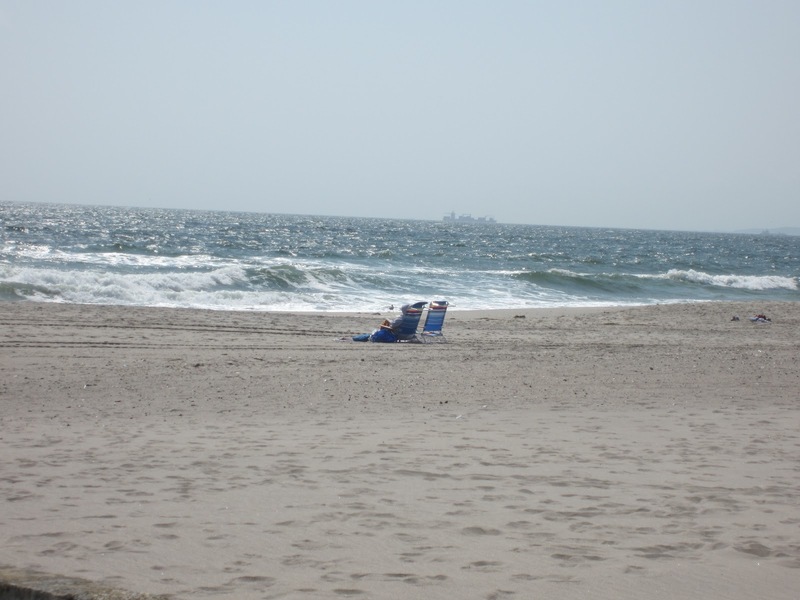 It was sold to New York State in 1966 by the Pennsylvania Railroad and thereafter has been continuously controlled by its present owner, the Metropoliatn Transit Authority, which, by the way, was specifically created in 1966 to manage the LIRR. 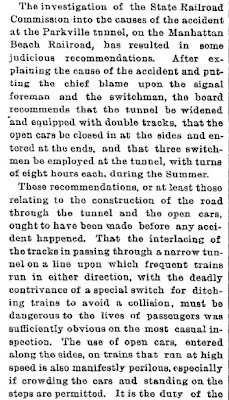 Excursions on the LIRR in the 19th century were frequently fraught with mishaps, usually caused by human error or malfeasance. 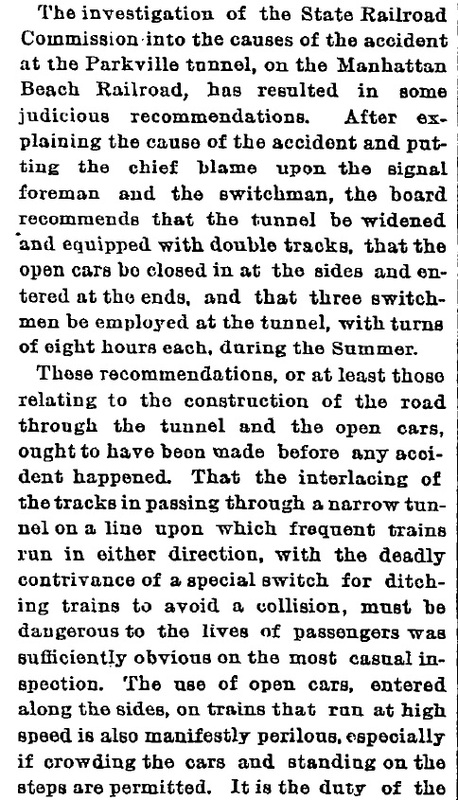 Take for instance, Tuesday, June 20, 1893, when eight souls were killed and dozens more mangled just outside the tunnel that extended under Ocean Parkway. 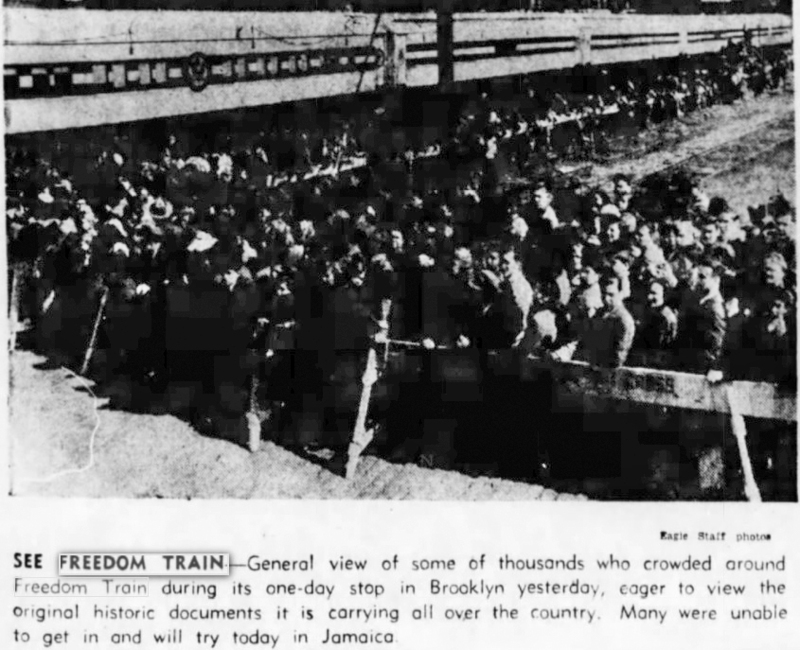 At that time, the Bay Ridge line was moving 600 passengers per trainload to and from Sheepshead Bay race tracks and ferry/rail service connections to downtown Brooklyn and Manhattan. 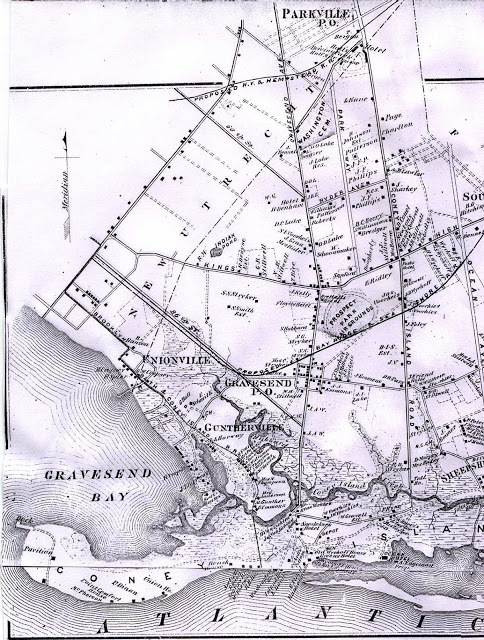 The track ran at grade for most of its route because the entire area south of Prospect Park consisted mostly of woods and farms, so there were few intersecting roads. 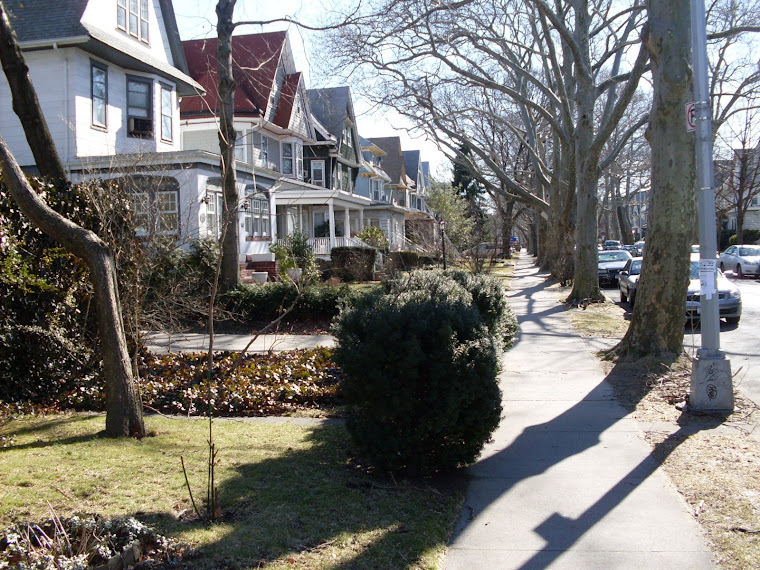 But an exception had been made for the magnificent Ocean Parkway, designed just after the Civil War by Frederick Law Olmstead and Calvert Vaux (who also gave us Central Park, Prospect Park and Eastern Parkway). 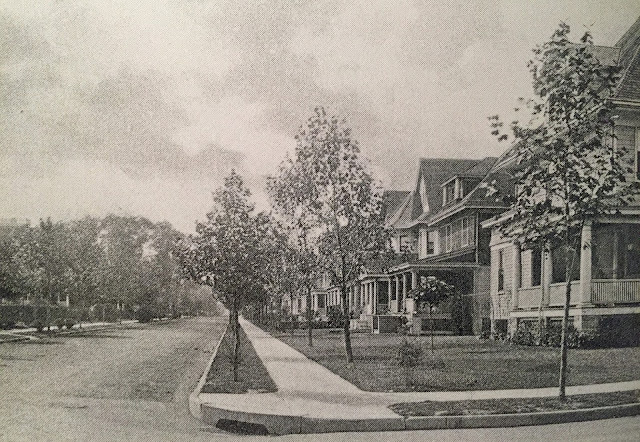 The Parkway had already reached Parkville (it was fully finished in 1880). 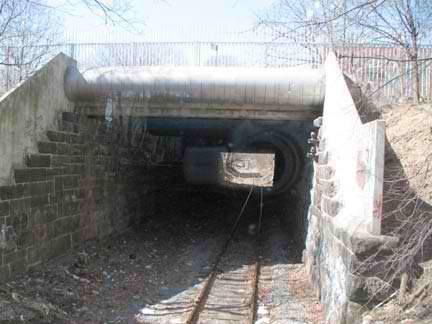 So in 1877 the new Bay Ridge line ran UNDER Ocean Parkway near Avenue H via a tunnel. 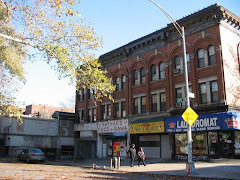 In its reporting on the incident, the New York Times referred to this thoroughfare as "the Coney Island Boulevard," which was the more popular name for the "Ocean Park Way," and not to be confused with the Coney Island Avenue "plank road" which it paralleled 1,000 feet to the east. 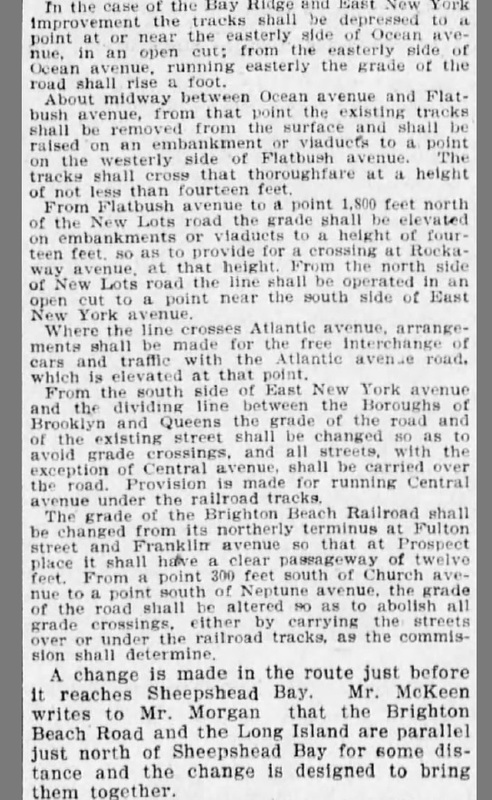 Spurred by the transformation of Brooklyn south of Prospect Park into a suburb and the popularity of the beach excursion lines, in 1903 the NYS legislature created a Commission to eliminate grade crossings. 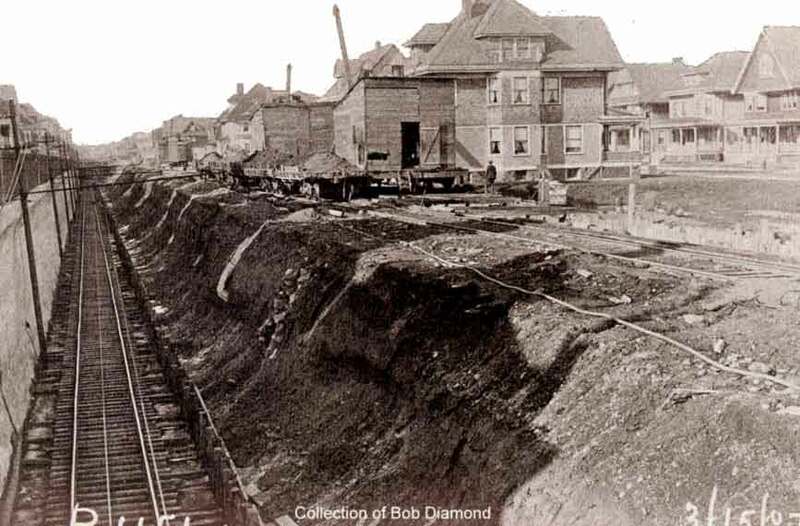 And so, between 1907 and 1910 the Bay Ridge surface line was depressed into a trench from Bensonhurst to Flatlands as part of the Grade Crossing Elimination Project. 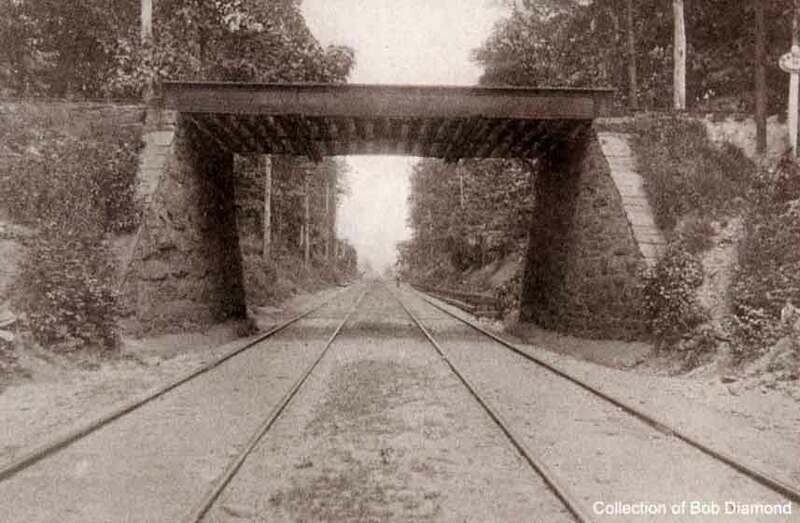 1903: Brighton Line Originally Ran Under the LIRR. 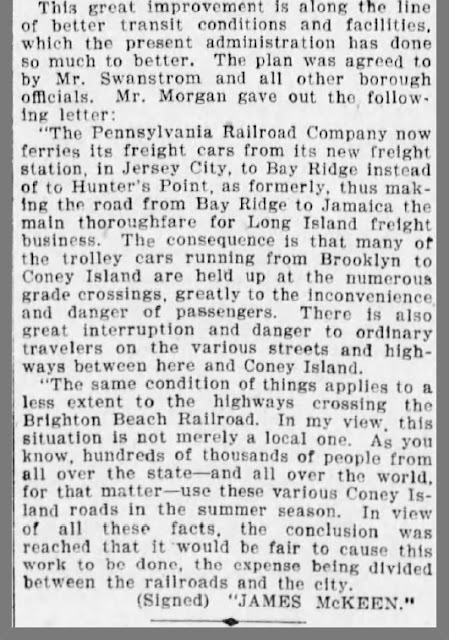 1909: Now The LIRR Has Been Depressed Under the Brighton Line. 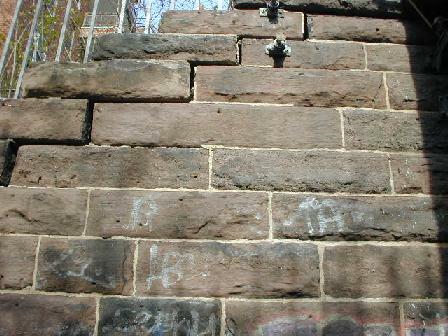 Looking West. 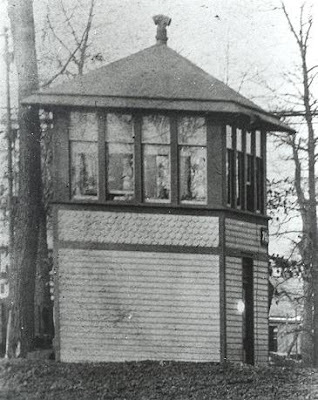 Avenue H Station is Above. E 14th Bridge In Distance. 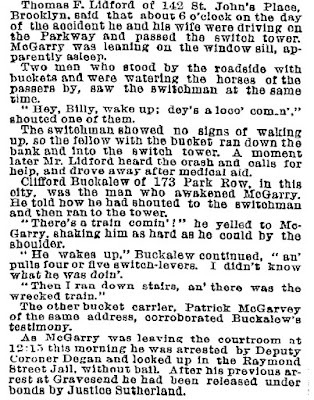 1908: After Elimination. Note Overpass Fence on Left. Within Seven years The Elevated Culver Line Was Built Over the Surface Tracks, Which Survived into the 1960s. 1918 Final Rendering of Bay Ridge Line After Grade Crossing Eliminations. 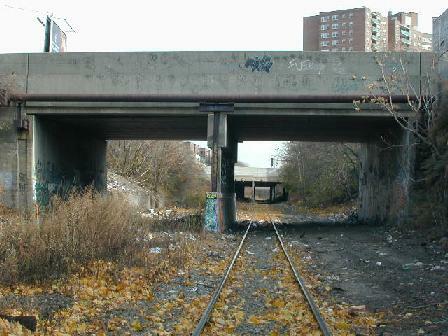 Note that between Parkville (today=McDonald Ave) and BRT (today=Ave H Station) there were two tracks and thereafter four tracks. 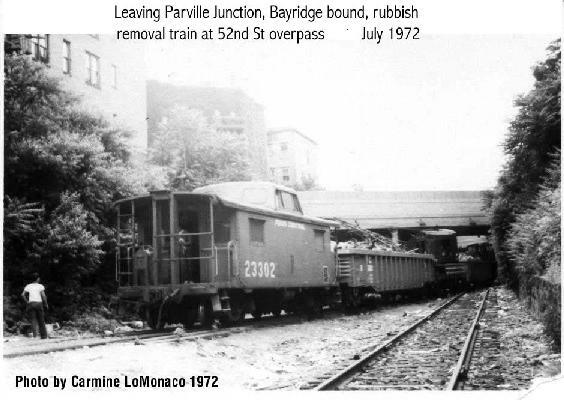 But another (often over-looked) reason for eliminating these crossings was the newly instituted rail barge link between Bay Ridge and the Greenville rail yards in Jersey City. 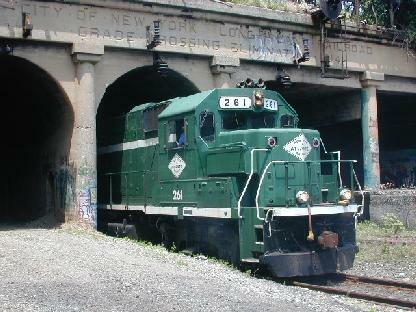 Prior to 1903, the Pennsylvania RR ferried its freight from Jersey City to Hunter's Point (just past Newton Creek in Long Island City). 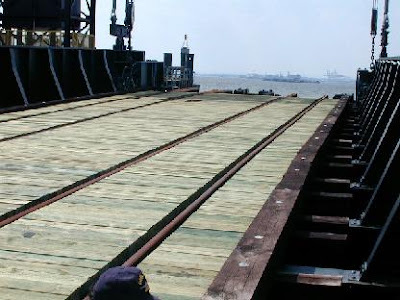 But upon switching to the 65th Street barge dock, it found freight delivery to all of Long Island was being slowed by 186 (count 'em, 186!) 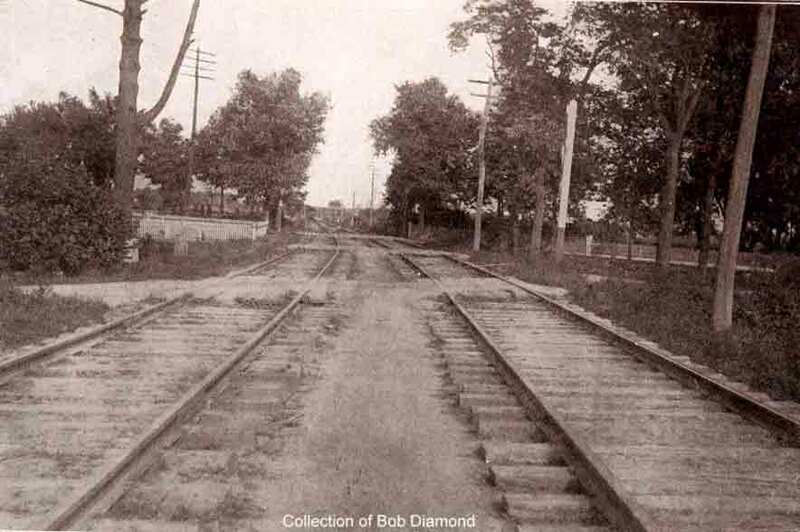 grade crossings. 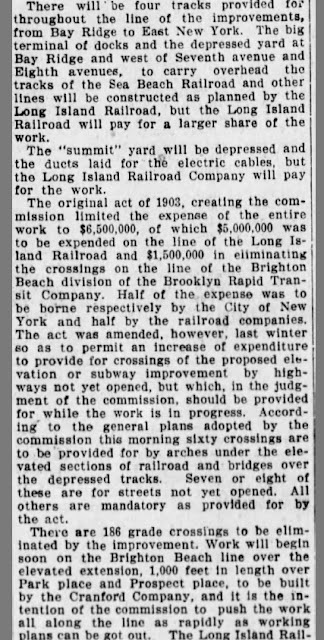 1904: LIRR Will Provide for 4 Tracks From Bay Ridge to East New York. 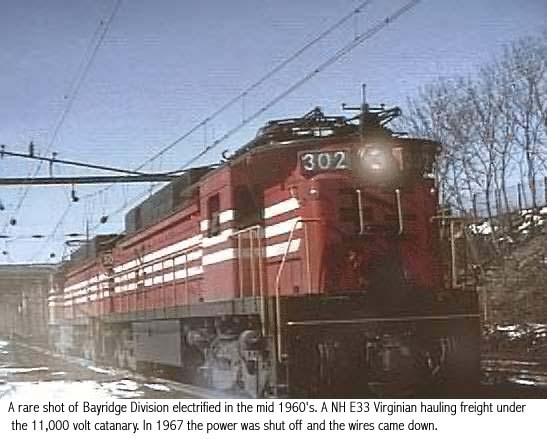 Electrification Planned But Took 20 Years. 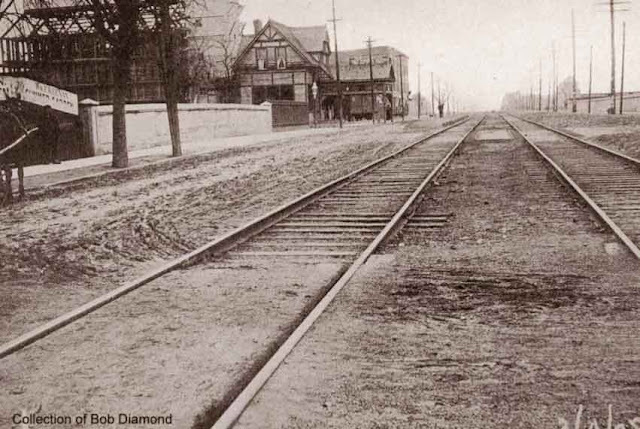 Beyond Flatlands, the right of way was alternately elevated or depressed, depending on local conditions. 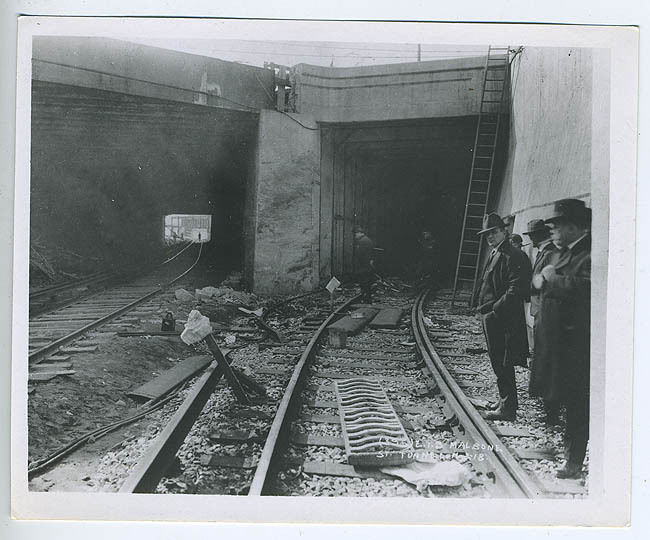 The finishing touch for the entire project came in 1914 with the completion of the tunnel in East New York which took the railroad under Atlantic Avenue, Eastern Parkway and Broadway. 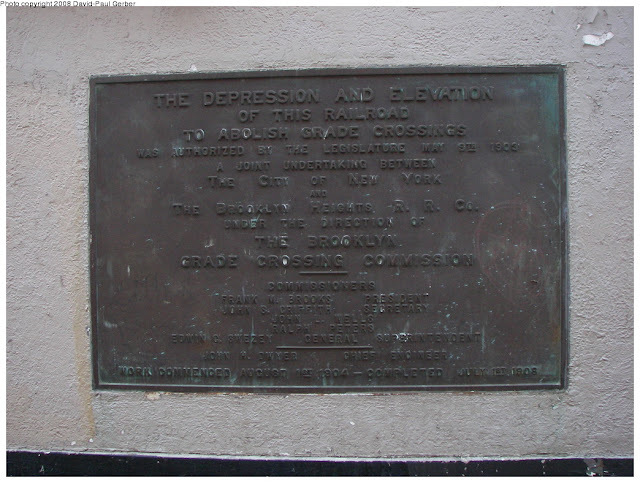 This Plaque Was Placed on the Exterior Wall of the Newkirk Avenue Brighton Station in 1908 To Memorialize the Work of the Grade Crossing Commission. 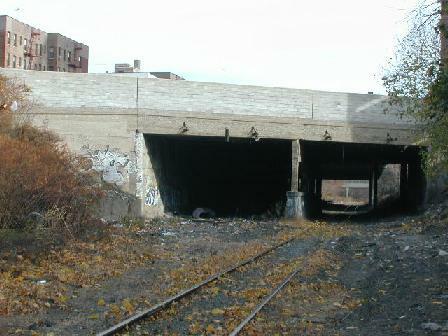 Its Only Other Surviving Public Commemoration Is On the East New York Tunnel (See Photo Further Above). 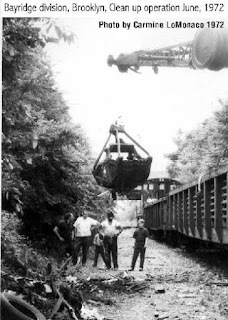 1954: Old Steam Locomotive in Cut Near Vanderveer Park Station. 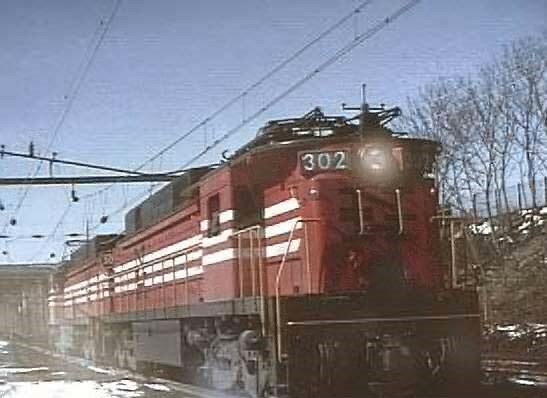 Note Overhead Electric Wires. 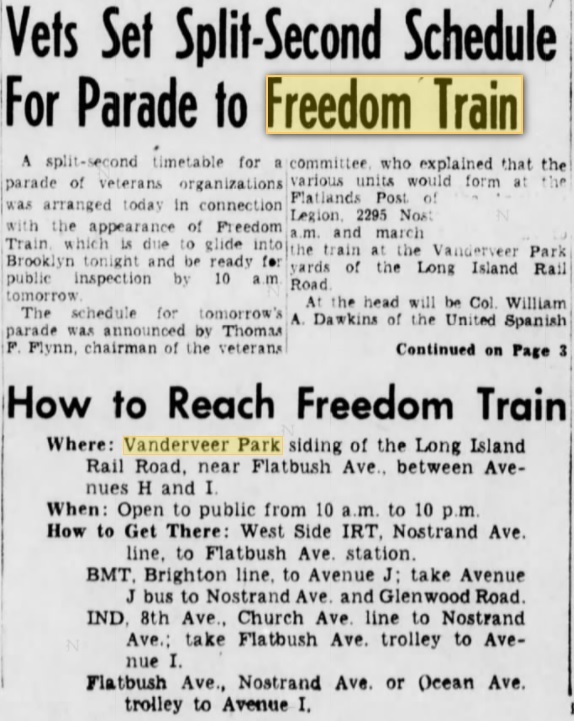 The original locomotives operating on the line were steam-driven until the Roaring 20s when residents along the tracks complained so loudly, the LIRR converted the Bay Ridge tracks to electric power in 1927 and phased out the Manhattan Beach branch altogether. 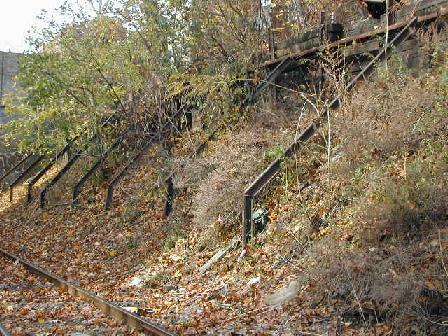 But the electric era lasted only 40 years, and since 1967 only diesel locomotives have traveled these rails. 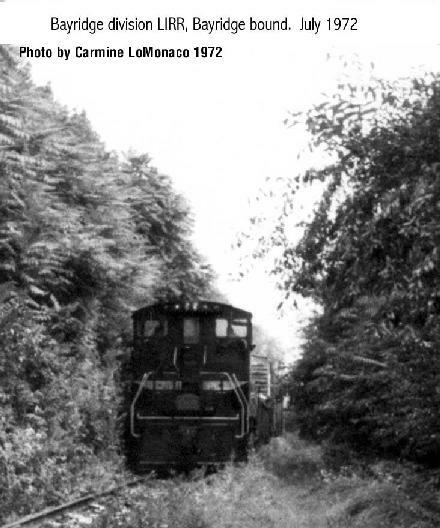 1967: One of Last Electrified Trains on Bay Ridge Branch. 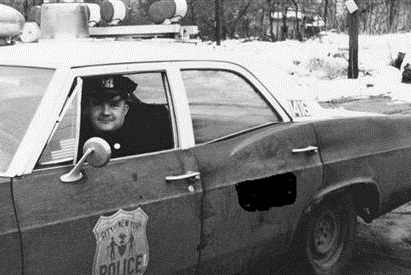 1972: More of This Looming? Back before trucks, and the cross-Hudson bridges and tunnels they used, many commercial entities located their factories and storage yards along the Bay Ridge line. 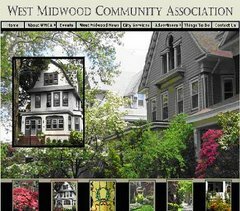 For example, John Corbin, the Father of West South Midwood, set up his workshop right beside the Vanderveer Park Station at Flatbush Avenue & Avenue I where he took delivery of the wood, metal and glass he needed to assemble his pre-fabricated homes. 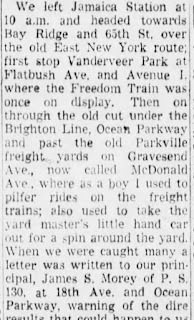 Presumably he loaded his houses on flat cars for delivery to Midwood Park and Argyle Heights in the years immediately prior to the railroad being submerged below grade. 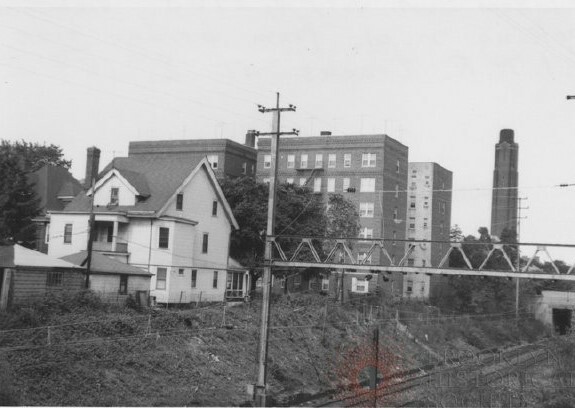 The Scranton & Lehigh Coal Company also built a huge coal depot alongside the same station in 1910. 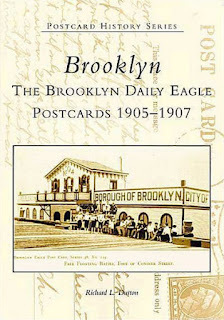 A Brooklyn Eagle feature story in February 1911 noted that the company took delivery of tons of coal via a siding there, the shipment originating from Long Island City. 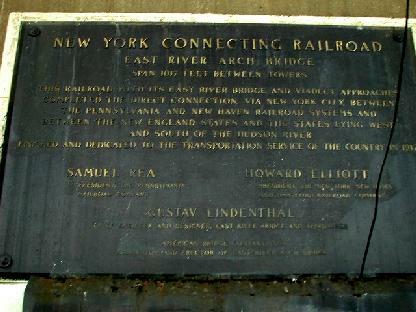 At that time, there was no rail freight bridge over the East River since the "New York Connecting Railroad Bridge" (now Hell Gate) would not be built until 1917. 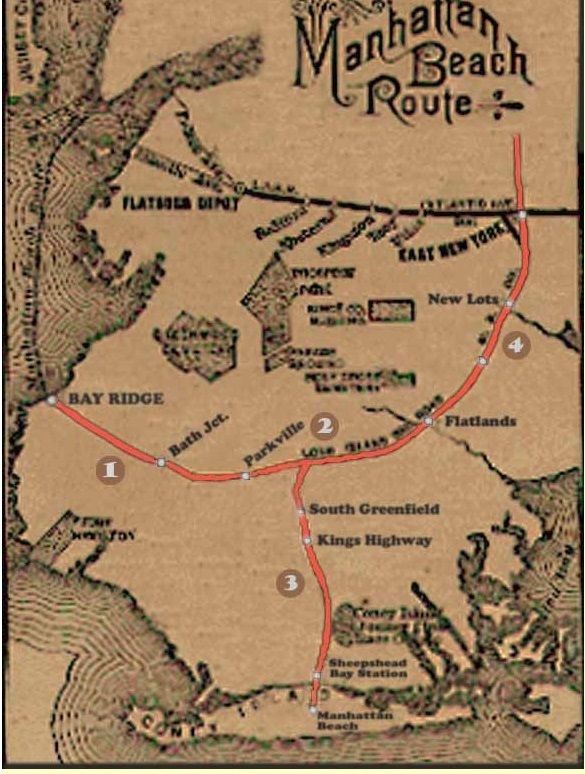 So the coal was floated across the Hudson on barges, then up the East River to Hunter's Point. 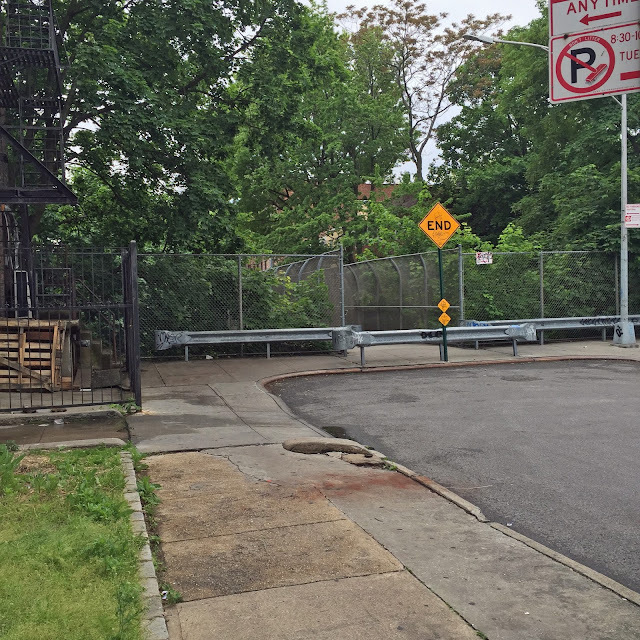 Why Scranton and Lehigh did not use the barge float to 65th Street in Bay Ridge is an interesting question. I suspect the Pennsylvania Railroad's rail barge prices were a bit too high for Lehigh. 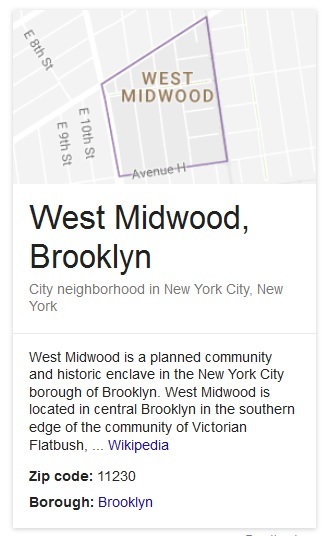 The Brooklyn Eagle story below also described the grade crossing eliminations and the virtual emptiness of the land south of the tracks. The LIRR Cut was still used up until World War II to transport National Guard troops, who loaded hundreds of horses at the Vanderveer Park Station for the Selkirk Hurdle to training grounds up near Watertown (see news clips). 1906: Vanderveer Station House of LIRR at Ave I and Flatbush. 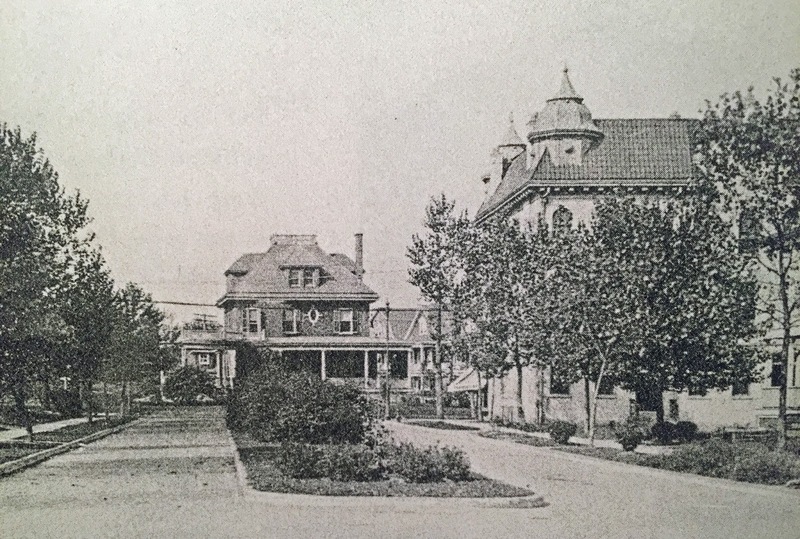 Demolished 1960. 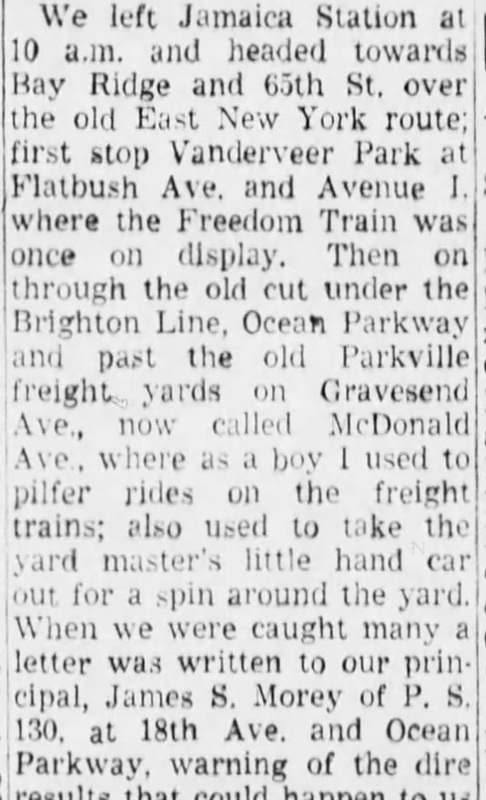 1925 Brooklyn Eagle: Horse Cars! 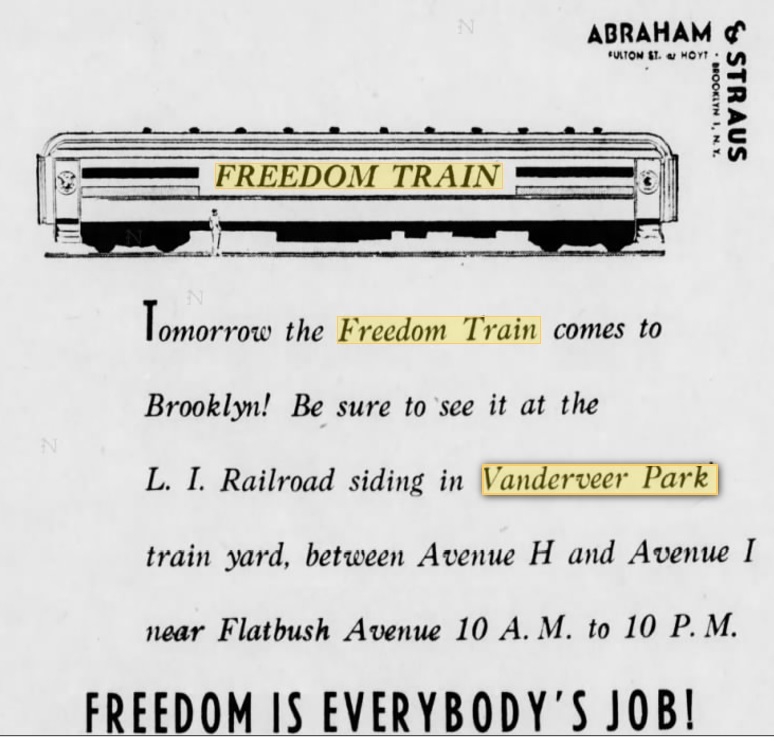 The Cut's last newsworthy event occurred on September 27, 1947 when 150,000 Brooklynites descended into the huge rail siding area surrounding the Vanderveer Park Station at Flatbush Avenue and Avenue I in order to view the Freedom Train, where three carloads of precious American foundational documents were displayed. 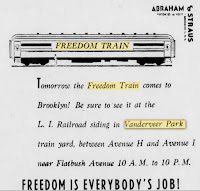 An old timer remembered the Freedom Train when he reminisced years later. 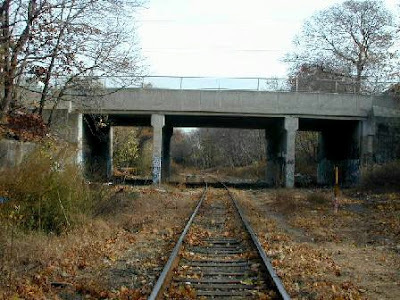 Our rail history would not be complete without noting the bridge renovation project of the early 1980s when most of the LIRR bridges were replaced (the Ocean Avenue bridge wasn't rebuilt until 2011-2012). Of the 44 overhead structures or bridges between East New York and Bay Ridge, five have clearances of 17' 6" or less, while 30 have a clearance of 20' 6" or less. 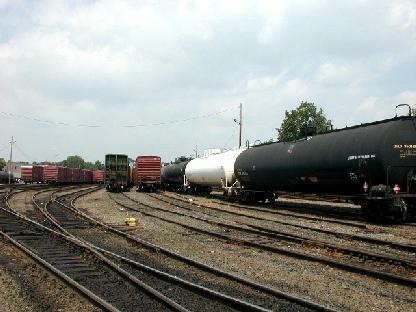 Modern "double-stack" container freight cars require a minimum of 18'2" and a desirable height of 20'6". 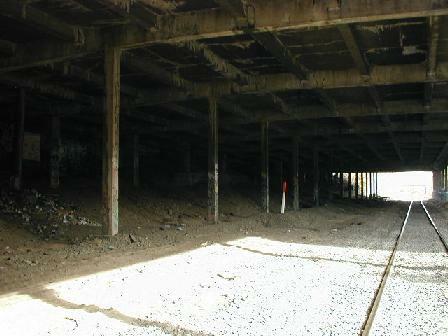 Additional bridge work -- and an additional track -- will surely be needed for a new "super freight" line. Tracks Under the F Line No Longer Exist. Shop Rite Supermarket Ate Up The Siding Here. 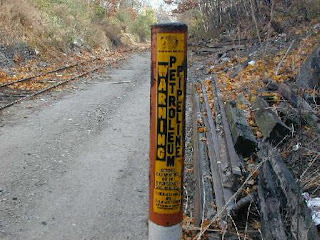 Finally, we also need to mention an artifact of the LIRR once being owned by the Pennsylvania Railroad: the Buckeye Pipeline which runs under the south side of our trench. 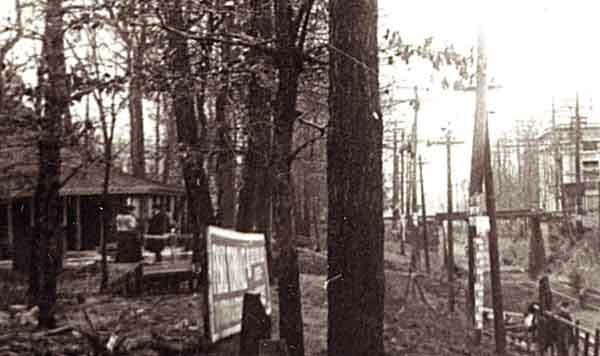 In an interesting bit of historical trivia, the Pennsylvania Railroad (not long before it went belly-up) acquired the pipeline in 1964. The railroad determined that by leveraging its existing track beds in the City and Long Island, it could move Buckeye's product throughout the metropolitan area and earn some serious coinage. 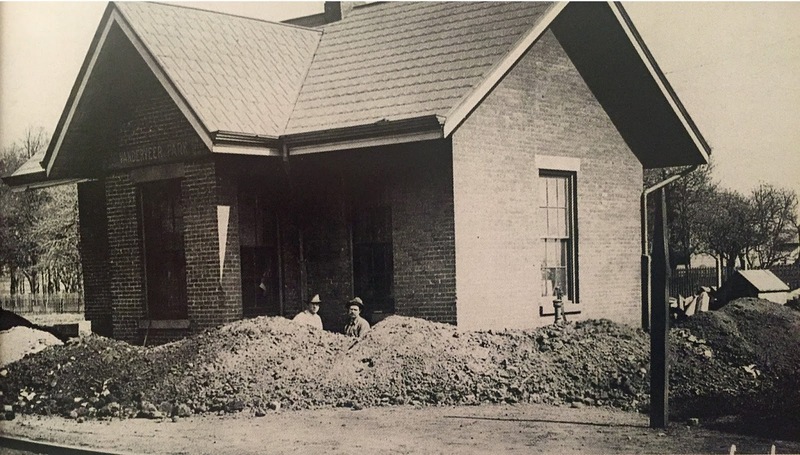 As gasoline usage declined, Buckeye began supplying aviation fuel to the area airports. 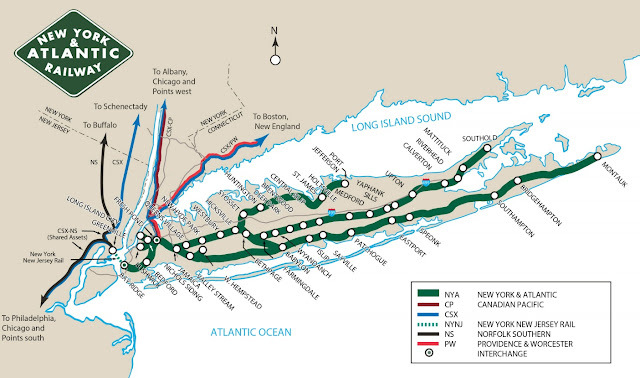 The pipeline thus runs along the Cut from Bay Ridge to Queens where it eventually branches off to JFK airport. 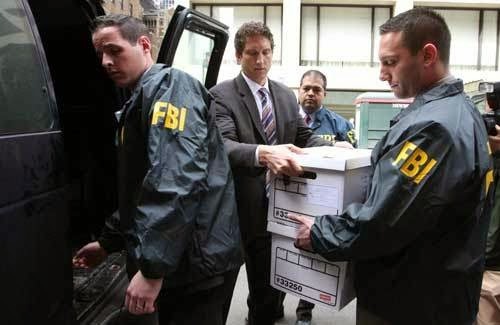 Back in 2007, the Joint Terrorism Task Force of the FBI's New York Office foiled a plot to blow up this pipeline's supply tanks near JFK. pipeline at the foot of Argyle Road is very low indeed. 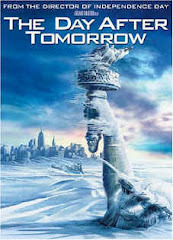 The pipe would have to be ruptured first, then the gasoline would need to be ignited. This would create a local fire at the point of the rupture but would not threaten the rest of the pipeline itself. 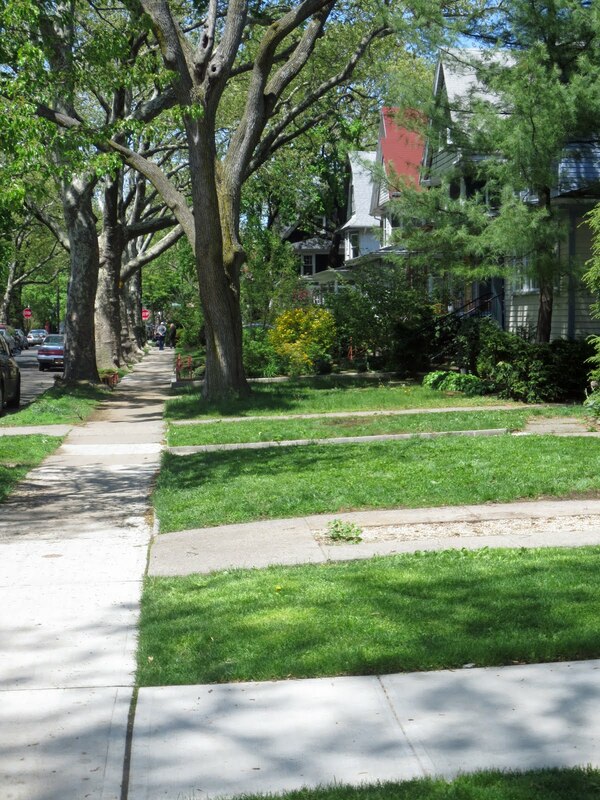 Cut-off valves would also minimize the leak caused by any rupture. 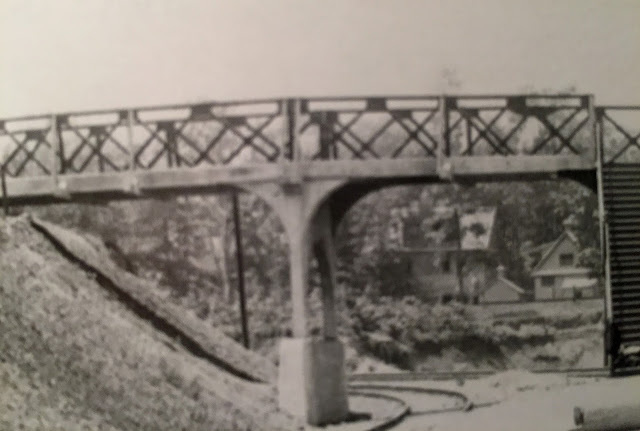 Still, work on the roadbed to lay down a second set of tracks might create a need to relocate the pipeline, which would have to be factored into the timeline for a cross-harbor tunnel. 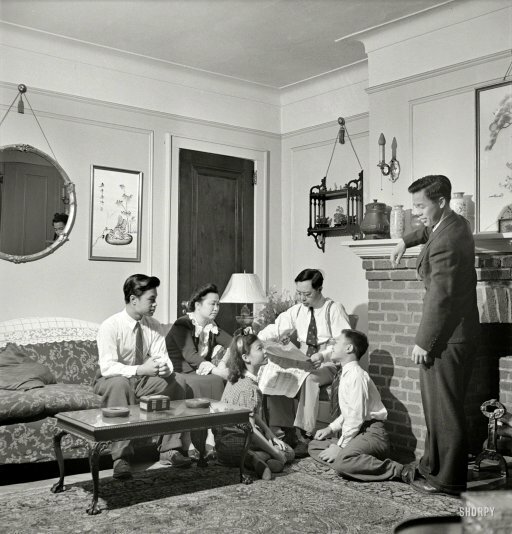 So that's the story of the Cut -- how it came to be, its ebbs and flows. 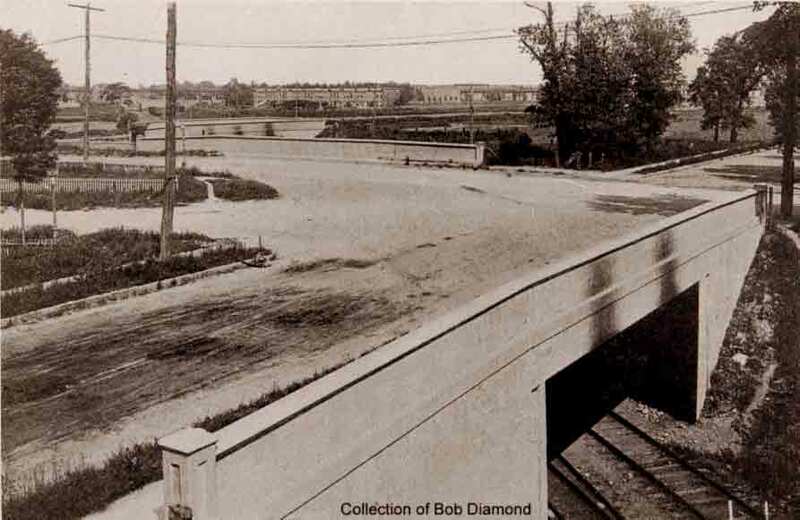 But there is another side to the Cut: what it might have become and the designs that planners and politicians have placed on it over the decades. Stay tuned. Coming in Part Two: A History of The Many Alternative Uses Once Planned/Proposed for our Beloved Cut. 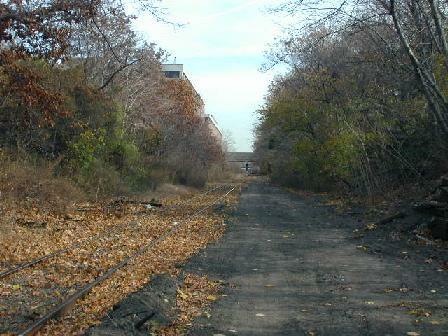 In 1870, the New York and Hempstead Railroad was incorporated. 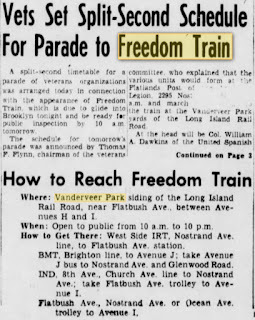 Its goal was to build a line from Bay Ridge through East New York to Valley Stream, following the path of today's Bay Ridge Branch. After two years of grading and excavating, the financial panic of 1873 ground that project to a halt. This plan was resurrected when the New York, Bay Ridge and Jamaica Railroad was created in 1875. The line was finished up to Bath Junction at 62nd St. and New Utrecht Avenue by the end of the Summer 1876. 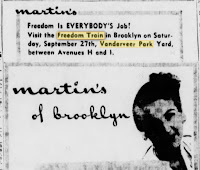 There it crossed the Brooklyn, Bath and Coney Island Railroad, which eventually became the BMT West End line, today's N train. In August 1876, the two railroads made a temporary agreement that allowed passenger trains to run from Bay Ridge along that West End track to Coney Island. 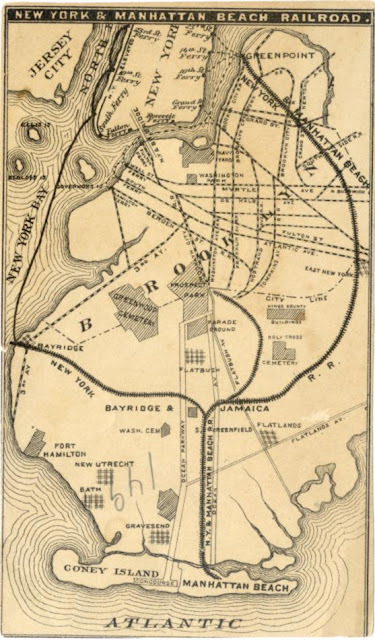 This New York, Bay Ridge and Jamaica Railroad was sold to Austin Corbin in November 1876 who reorganized it as the New York and Manhattan Beach Railway (NY&MB) with the purpose of building a line from Long Island City to Manhattan Beach. 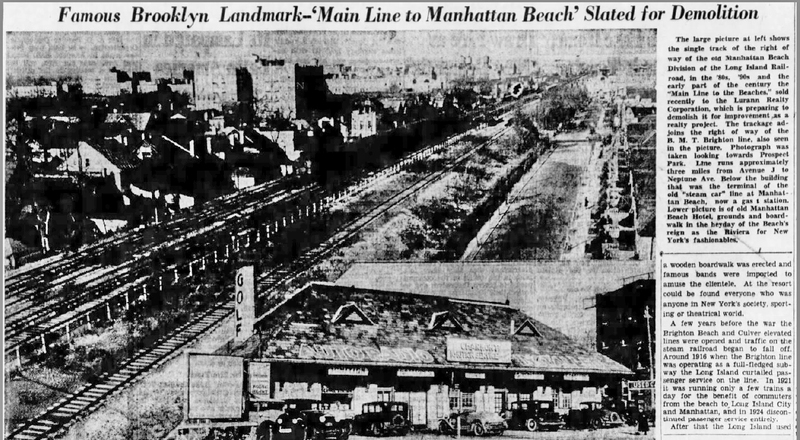 Originally conceived as a freight railroad, the line then became a passenger railroad serving the Manhattan Beach Hotel that was being built by Corbin on the east end of Coney Island. 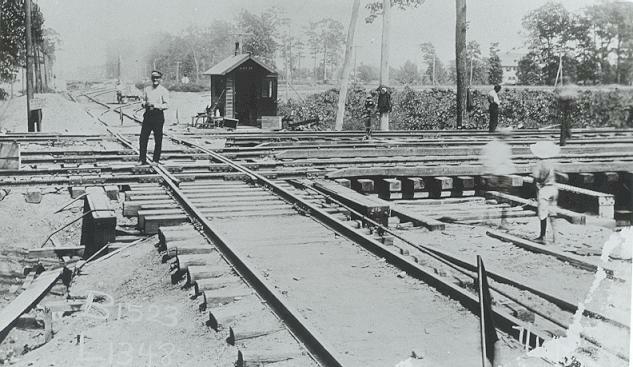 The railroad was rebuilt as a narrow gauge 3 feet line instead of the standard 4 feet 8.5 inches. 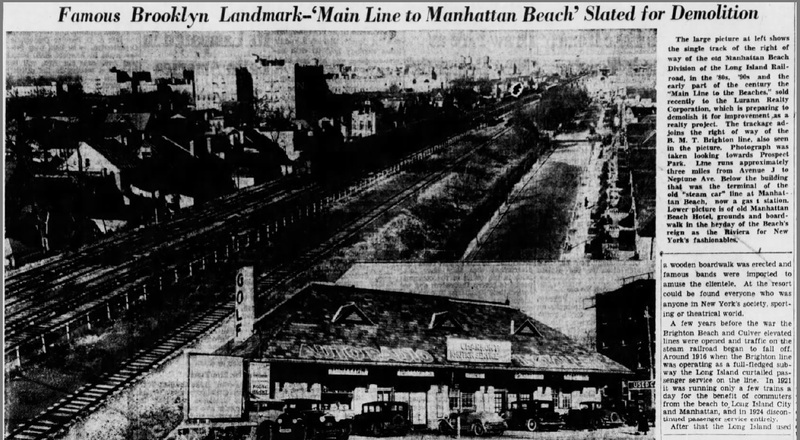 The newly built spur to Manhattan Beach branched from the main Bay Ridge line at Manhattan Beach Junction, and then it paralleled the Brooklyn, Flatbush and Coney Island Railroad, today's BMT Brighton Line, to its east. 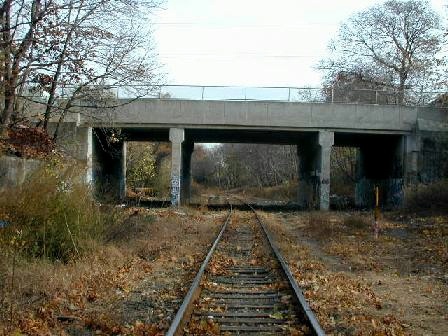 The line was extended up to Atlantic Avenue after a deal was made with the Brooklyn and Rockaway Beach Railroad, which allowed Corbin to built the new line along the right-of-way of the other road. 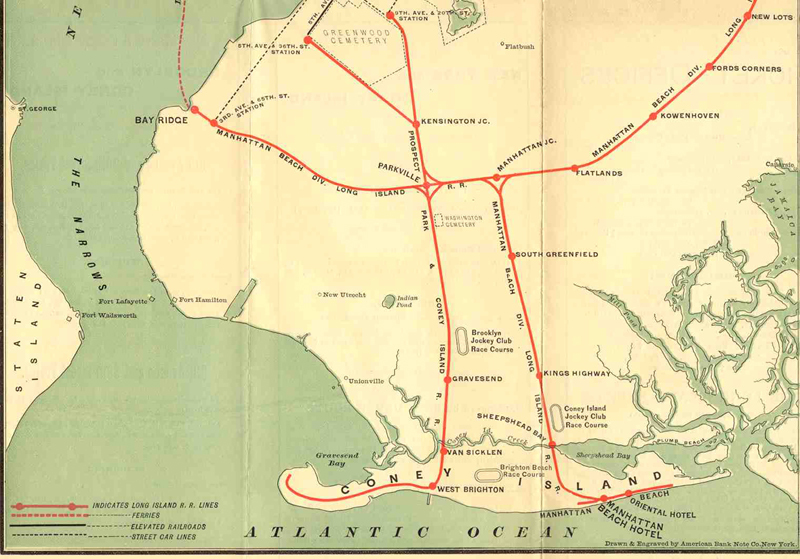 The new line was inaugurated on July 19, 1877, with 13 trains running from both Bay Ridge and East New York to Manhattan Beach. 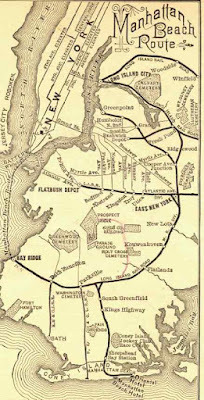 In order to continue the line into northern Brooklyn, the Glendale and East River Railroad was acquired, which ran from the terminal at Greenpoint to the east side of the Cemetery of the Evergreens, where it then turned south to hook up with the Bay Ridge line in East New York. 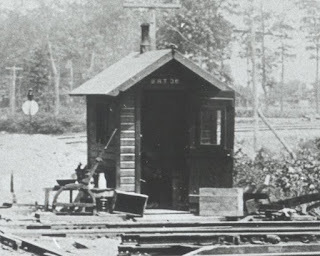 This part of the excursion line was opened on May 15, 1878. 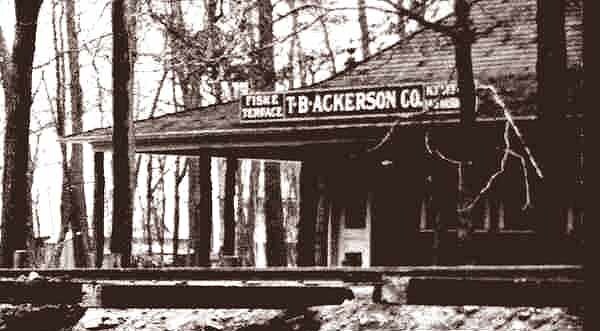 The final spur of the NY&MB, the Kings County Central Railroad opened for service on June 29, 1878. 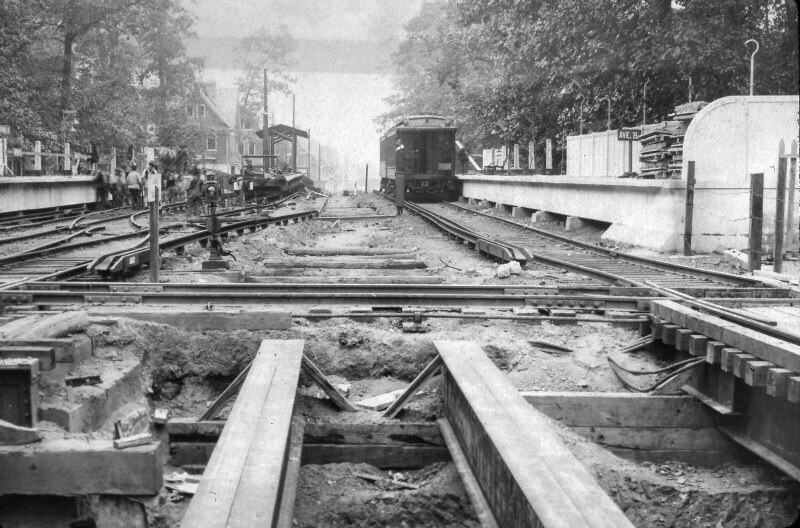 This line ran from the edge of Prospect Park at Flatbush Avenue and Malbone Street (now Empire Boulevard), before running east through Malbone to Clove Road, and then south on Clove to Clarkson prior to merging with the Manhattan Beach line. 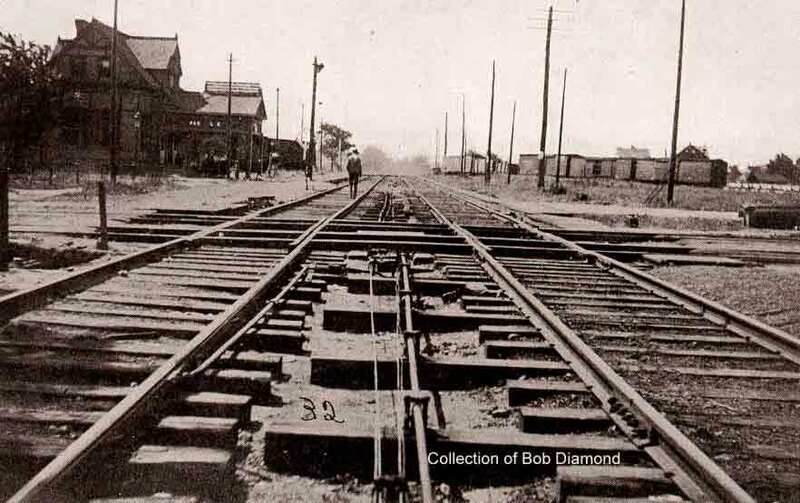 The line closed on September 30, 1878, when the summer season ended, after it had been sold to a group that desired to rebuild the line to standard gauge and compete with the NY&MB by building a new line to Manhattan Beach. 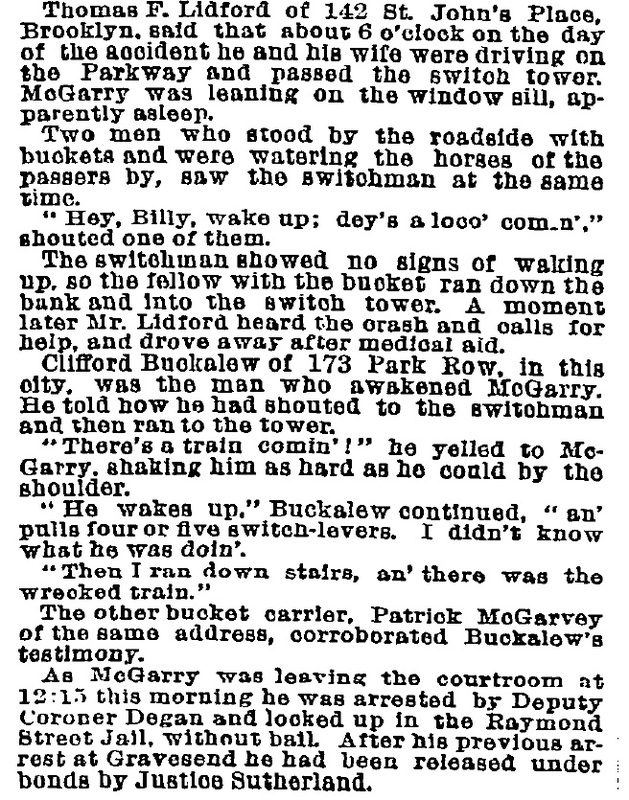 Their plans were never realized, and the right-of-way had been totally stripped by July 1879. In 1878, Austin Corbin organized the Eastern Railroad of Long Island to directly compete with the LIRR, planning a line from New Lots on the New York and Manhattan Beach to Babylon. 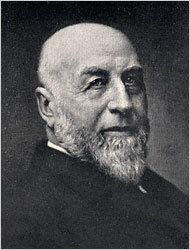 Corbin was however able to acquire control of the LIRR in 1880, and brought it out of bankruptcy, becoming its president in 1881. 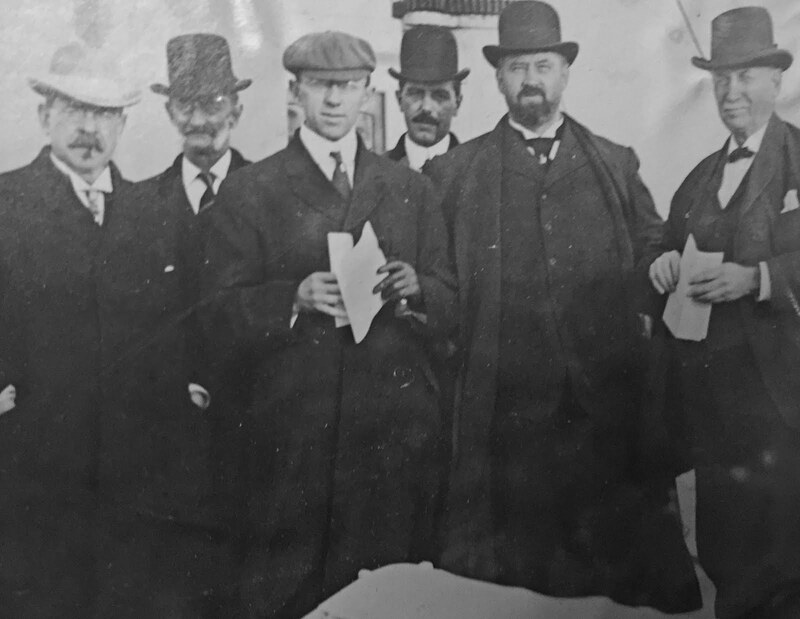 One of the more charitable descriptions of Corbin noted he "had a history of tricking and stealing from just about anyone, legally or otherwise, and was just about as sociopathic as a robber baron could be." 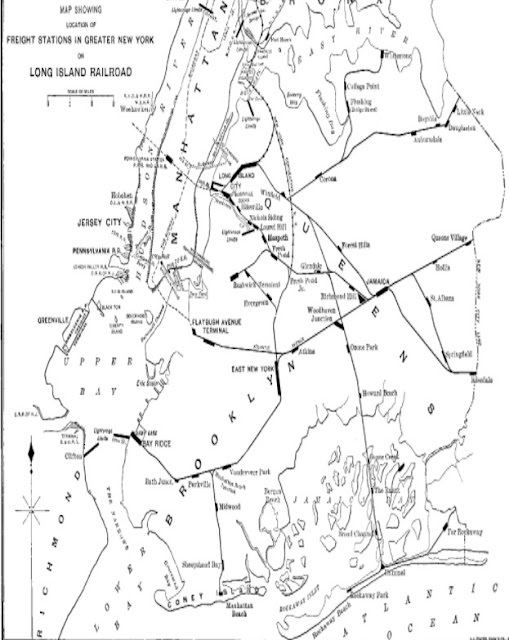 Once Corbin had control of the LIRR, it was decided to standard gauge the Manhattan Beach Line and connect it with both the LIRR's Atlantic Branch and Lower Montauk Branch. 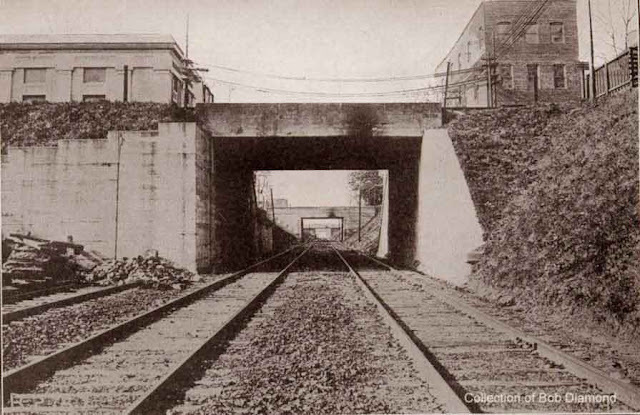 This was completed in 1883, and this meant that Greenpoint segment was no longer necessary, so it was abandoned and torn up around 1890. 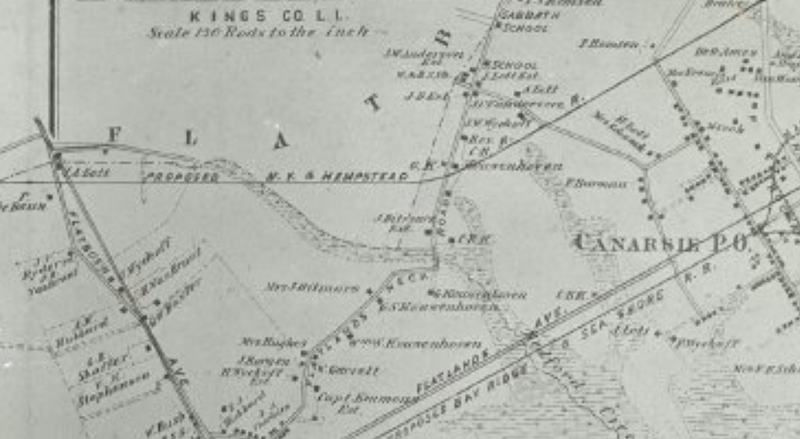 The LIRR leased the NY&MB in 1882, not merging it until 1925. Labels: News of The Cut Volume 1 Let's Do The Selkirk Hurdle Ya'all!